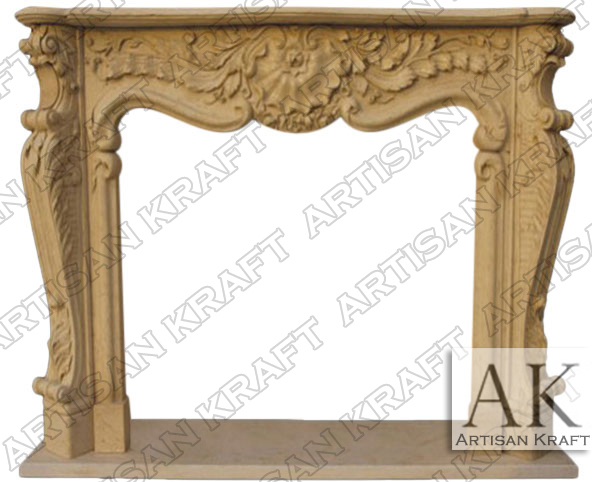 The Connecticut marble mantels is an antique French fireplace design. Connecticut can be carved from other stones like travertine for a more restored rustic look. This is a historic reproduction like many of our French and Italian fireplaces. Connecticut is a variation of the Versailles and St. Louis designs. The outward turning legs allow for it to be installed around a brick opening. Inner panel surround allow for it to work with any firebox. The hearth and the mantel shelf are made from the same material. Scroll down to read learn about the dimensions. Our Chicago showroom has several versions of this surround displayed. We will have a new showroom opening up in Los Angeles soon as well as a New York East Coast location.